Come join us and enjoy the musical exploration process through movement and music activities. These 30 minute classes offer a wonderful opportunity to explore your child's developing language, aural imagination, and musical curiosity through a variety of music, poetry, and movement. 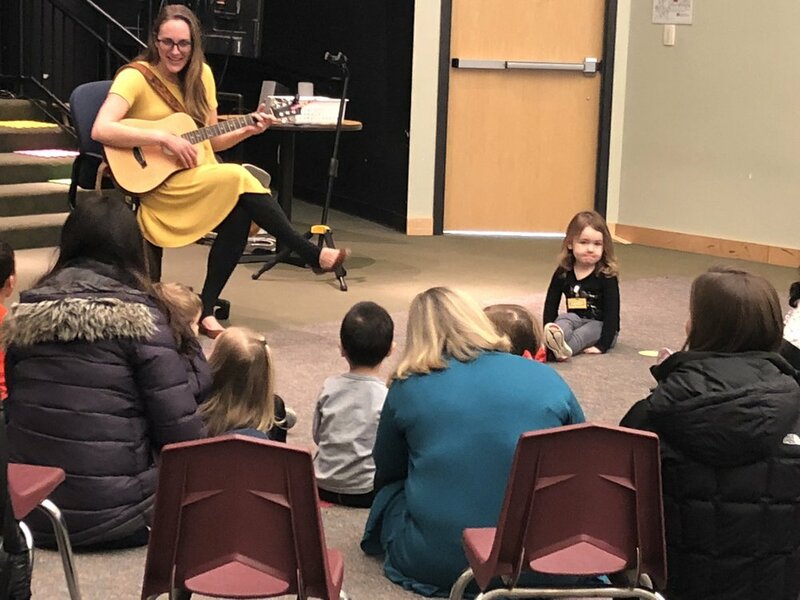 The classes will be based on the Musikgarten philosophy that young children develop a love of music and the skills to play it through a series of activity-filled age appropriate lessons. Classes are offered throughout the school year to our currently enrolled families as well as the general public. A parent/guardian must remain with their child for these interactive classes.